Spasms of Accommodation: Throwable Baby! 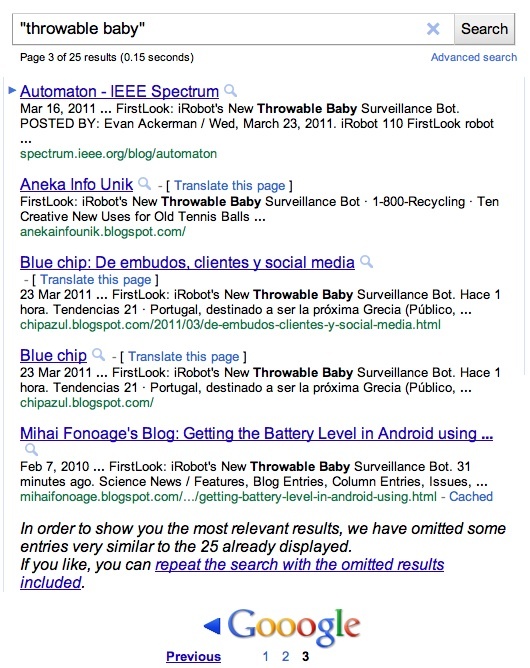 I was disappointed to find today's post wasn't about a robot that threw young children: ((throwable baby) robot). That would have been more interesting than the one you posted about a baby robot that can be thrown: (throwable (baby robot)). I know there are ways to describe that distinction using parts of speech instead of parentheses, but I forget them. Besides, I'm a programmer. Yes, this was pretty much exactly my reaction too. I wanted to share my disappointment. But not being a programmer I didn't know how to convey so precisely the nature of the miscommunication. The parenthesis work.